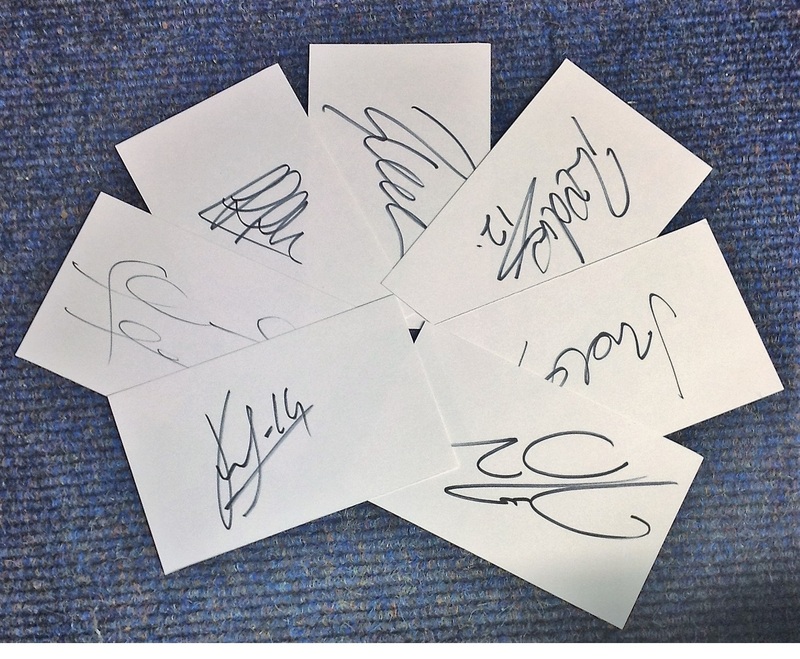 Football Chelsea FC collection seven 3x5 signed white cards from current and past players signatures include Fabregas, Ballack, Pedro, Vialli, Lampard, Kante and De Costa. Good Condition. All signed pieces come with a Certificate of Authenticity. We combine postage on multiple winning lots and can ship worldwide. UK postage from £3.99, EU from £5.99, Rest of World from £7.99.